The Plotkin Inquiry: IP and Tech Law Review: Are torrent sites inducing copyright infringement? Are torrent sites inducing copyright infringement? Torrents have been around for quite a while. For those unfamiliar with the term, a torrent is essentially a file that contains data allowing a person to track sources for content they wish to download (usually audio or video). A number of sites such as The Pirate Bay, Isohunt and Mininova act as indices for these torrent files. It is no secret that this modern and increasingly common method of data transfer is commonly used in a less than legal way. The 9th Circuit court of appeals recently heard arguments from torrent search site Isohunt and the MPAA (Motion Picture Association of America) in a case promising to have wide implications in the copyright space. This case and others in the past have turned on the essential question of inducement. The US Supreme Court’s decision in Metro-Goldwyn-Mayer Studios, Inc. v. Grokster, Ltd. gives an exhaustive definition of inducement in the context of copyright infringement. The court tells us that merely knowing that the service is or may potentially be used to infringe is insufficient to allocate liability. The plaintiff must show “purposeful, culpable expression and conduct” on the part of the defendant that would lead a person to infringe copyright. In Grokster, the defendants were actively seeking out former Napster customers. They also used suggestive phrasing in their advertisements like “new Napster” or “alternative to Napster”. The court also attacked the fact that Grokster was selling ad space thereby profiting from the service they were offering. MGM was able to show that a disproportionate percentage of the site’s use was infringing and that the ad revenues accrued by Grokster were traffic based and therefore relied on this heavy stream of illegal downloading to profit. In his oral arguments before the 9th circuit, Isohunt’s council, Mr. Ira Rothken, tried to impress that the district court made an error in their initial ruling on inducement. He says that any copyright infringement that may occur does not occur on Isohunt.com itself. By that logic, Mr. Rothken asserted that there is no evidence to suggest that Isohunt induced any specific act of infringement. This is technically true. A person uses an index like Isohunt to find the torrent tracker file. However, once they do, they load the file into a torrent download software called BitTorrent. Therefore, the transfer of data itself happens off site. For his part, MGM’s attorney Mr. Paul Smith was determined to show the similitude between this case and Grokster. He says that Isohunt and sites like it are specifically engineered to facilitate mass copyright infringement. This conflict manifests itself as a struggle between the revenue of rights holders on one hand and autonomous technological innovation on the other. In my view the question becomes the following: To what extent should we protect copyright when the implications of doing so may adversely affect technological progress? As a creator of intellectual property I feel copyright must be protected. I am a firm believer in the goal copyright sets out to achieve. That being said, intellectual property rights should never be used in such a way as to stifle innovation. 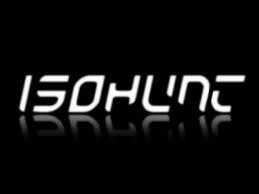 One may view Isohunt as a modern day Sodom (or Gomorrah) of theft and vice. However, if we look beyond the superficial level of “this is mine therefore you cannot have it”, awarding judgments of this sort to the content industry may have what the wise professor Lawrence Lessig refers to as a “chilling effect” on innovation. Copyright is first and foremost an economic right (subtly differentiating it from the French “Droit d’auteur” regime). However, we mustn’t forget that the goal of these abstract intangible things we call intellectual property rights is to stimulate innovation and promote the growth and enrichment of culture. It is therefore on politicians and judges to decide when these limited rights generate the undesired effect of stifling innovation and creativity. Is the detriment suffered by the content industry a justifiable reason for preventing the modernization of how we procure our content? The railway industry suffered a hit when commercial air travel became a reality yet no one feels the courts should have prevented that innovation. Perhaps Isohunt is the airplane to the content industry's preferred method of “railway distribution”. No one cried for horse breeders and carriage makers when the automobile became popular. Should technology slow down for the content industry or should the content industry embrace new technology instead of fighting it in costly litigation? The “copyright war” like any other is a war of competing interests. As is the trend in other domains, the interests of the wealthy few with much to lose tend to receive better representation at the legislative level than those of the proletariat. After all, Mickey Mouse- Among others- is a generous contributor to those in congress who wouldn’t dream of seeing him enter the public domain.